United has been gaining momentum with their Polaris Lounge concept lately. 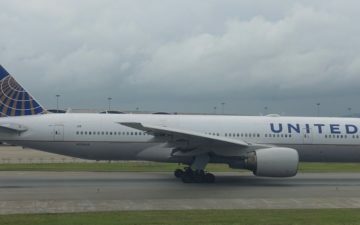 United opened their first Polaris Lounge in Chicago in December 2016, and then for nearly 18 months didn’t open another lounge, which left a lot of customers disappointed. In mid-December we learned that the United Polaris Lounge Los Angeles will be opening on January 12, 2019. 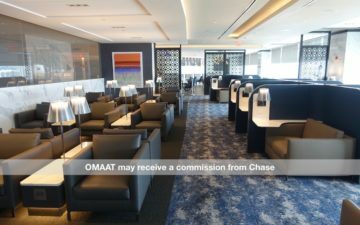 Since the airline had a media event today, they’ve also shared a press release with some pictures of the new lounge, which I’ll be sharing below. For the record, I wasn’t invited to the media event, despite having the largest independently owned blog in this space, and having had nothing but positive things to say about Polaris lounges. The United Polaris Lounge Los Angeles will be located in Terminal 7 between gates 73 and 75A, and will be open daily from 6:45AM until 10:15PM. As you’d expect, the Polaris Lounge LAX is one of the smaller ones in the system. The Polaris Lounges in San Francisco and Newark are each over 27,000 square feet, while the Polaris Lounges in Chicago, Houston, and Los Angeles, are around 12,000 square feet. This should still be more than sufficient, as United doesn’t have that many nonstop longhaul flights out of Los Angeles. On the surface this should actually be the least crowded Polaris Lounge in the system. Each Polaris Lounge has a unique selection of food and drinks. When it comes to a la carte dining in the lounge, United highlights almond-crusted fish and chips, chilaquiles, Korean bulgogi arancini, fresh crafted sandwiches on La Brea Bakery bread, flavorful street tacos, and house-made cinnamon churros. Then when it comes to signature cocktails, United highlights the “Let’s Rumble,” made from Cruso Spiced Rum, fresh lemon, prickly pear puree, and house-made simple syrup, and the “On Sunset,” a playful take on the tequila sunrise, made from Casa Noble Tequila, Del Maguey Single Village Mezcal, and agave nectar. In order to access United’s Polaris Lounge you either need to be flying United Polaris same day (which includes international longhaul flights), or be traveling on a Star Alliance carrier longhaul directly from Los Angeles (you need to be traveling outbound, and not inbound). United’s nonstop longhaul flights from Los Angeles are to London, Melbourne, Shanghai, Sydney, and Tokyo Narita. 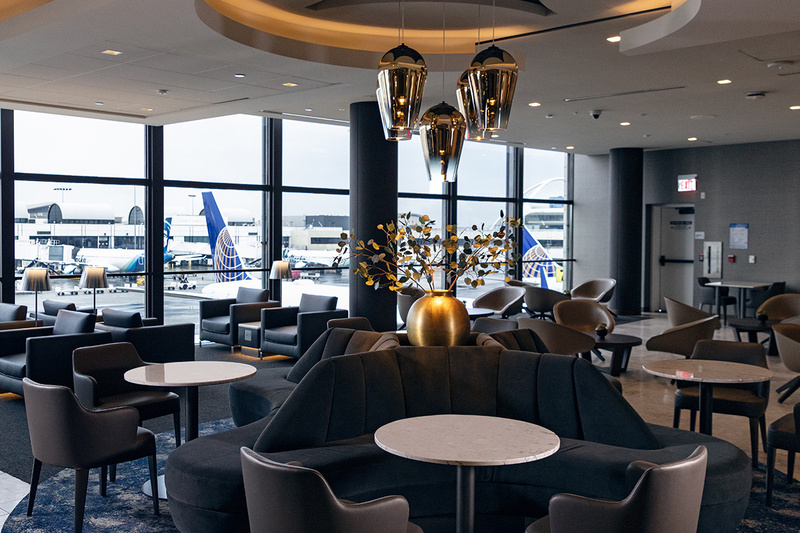 United business class passengers can use the lounge as long as they have a same day Polaris ticket and an outbound boarding pass, so you can use it if flying business class Los Angeles to San Francisco to Hong Kong, Tokyo to Los Angeles to San Diego, etc. United’s Star Alliance partner airlines (Air China, Air New Zealand, ANA, Asiana, Lufthansa, Singapore, Swiss, Turkish, etc.) depart from Tom Bradley International Terminal. The good news is that the two terminals are connected airside, so you could still visit the lounge, but you’d have to walk from TBIT to T4 to T5 to T6 to T7, so it’s a bit of a haul. The new Polaris Lounge LAX looks spectacular, and I can’t wait to check it out. Every time I use a Polaris Lounge I pinch myself and wonder if I’m actually flying a US airline, because it seems too good to be true. What’s your initial impression of United’s Polaris Lounge LAX? Looks nice. I’ll get to preview it tomorrow morning. Can they use it only if traveling on business class, or star alliance status is enough? Looks really nice, similar to the other Polaris lounges. Can’t wait until the IAD one opens, but that likely won’t be for a while (probably not even until 2020). The IAD UCs are a dump. 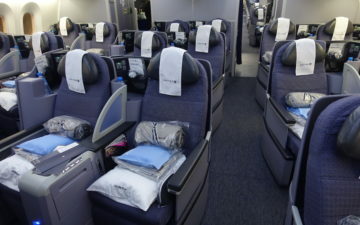 @ e30st — You need to be flying first or business class on a Star Alliance partner. They also fly nonstop to NRT & PEK from Los Angeles. @Robert, I think you mean PVG not PEK. UA does not fly LAX-PEK. Correction, they fly nonstop to NRT and PVG from Los Angeles. My mistake, added NRT and PVG, I apologize! @e30st *A status is NOT sufficient for access. PLs are NOT *A lounges. You MUST be traveling in business (or First) on a *A partner for PL access. I have a flight SYD-IAH-LGA in UA business. So this means I have to use a United Club in Houston and can’t use their Polaris lounge there? What an odd rule. I’m in coach on LAX-SFO and then in Polaris from SFO-AKL. Would I be able to still access the Polaris lounge in LAX or only during the connection in SFO? @ Eric — You can use it since you’re flying inbound on United, and not on a partner airline. Between UA and its partners, just for APAC alone, Star offers LAX nonstop to SYD MEL AKL RAR NRT HND ICN PEK PVG SZX TPE SIN. With the glaring exception of HKG (and BNE to a minor degree), looks quite comprehensive to me. Better to have this than a bunch of subsidized junk destinations like Qingdao or Shenyang. 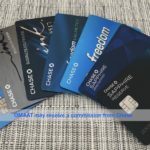 @ Matt — Yep, you should have access. Can you edit the access rules you stated? If someone is flying FRA-EWR-LAX, that traveler may access the lounge at both EWR and LAX. Access at arrival airports is allowed, as long as one has a way through security or is already through. “Los Angeles is one of United’s most important gateways, particularly to Asia…” Really UA? I thought that honor fell on SFO or one of the other hubs. Otherwise a great article and review! My first impression is that the physical space is inferior to that at Newark. I’m pretty sure that’s the first (and probably only) time I’ve ever posited the idea that something in New Jersey is better than California. Would love to see a comparison between this once it opens and the *A lounge at TBIT. Have there been any updates on when the AA Flagship Lounge in DFW is supposed to open? I’m scheduled to fly through there in mid-July. Whatever they announce for food. It will get worse. I’ve already seen that in Newark and Chicago. Menu seems to get reduced to a minimum. United’s issue is consistency and cutting things after big fanfare. Especially with whatever they call Polaris. They think we aren’t noticing. Feels great to be a free agent and fly whatever airline works best for me in premium classes. The only thing that United has going for them is that Delta suuuucks in premium/business on the ground in the US. But for once they shouldn’t “follow Delta”. Meh. I’d check it out, but I was really underimpressed at EWR and IAH polaris lounges. I quite enjoy the *A lounge at TBIT. I don’t think it’s that much of a haul – 10-15 minutes. I’d argue send one OMAAT and every other outlet would pick it up in 24 hours anyway. I find the divide in logic between *some* airline PR’s shocking. @Lucky so i guess i dont get access when i fly inbound on SQ business from sin-nrt-lax?? I visited the Polaris Lounge in Chicago in September on my flight back to Frankfurt. I arrived like 6 hours to early. Overall the Polaris lounge experience is way better compared to what many other EU or US carriers offer. But what i found really weird was that there is a time limit for the use of the daybeds. After 2 hours they asked me to get out of there, because my time was over (i was sleeping so they had to wake me up) and in my point of view that is an absolut no go. And personally for me the size of the meals was a bit to small. (all jokes aside though it would have been really cool for you to see it. I hope you check it out once open). Having visited the *A lounge at TBIT after visiting the Chicago Polaris lounge, I don’t know how people can say the *A lounge is nicer? Food options, crowding, drinks and functionality/space in the lounge were all far better in the Polaris lounge than in the *A lounge at LAX. I would definitely use this lounge over TBIT’s offering any day. The shower suites over there are not that nice either. Overall was not very impressed (though *A obviously beats the United Club). If you’re travelling on ET (Ethiopian) out of LAX, you’ll be next door in Terminal 6. Accessing this is if you’re flying ET is much easier than going all the way to TBIT (though when I flew ET last year the *A lounge in TBIT was more preferable than the UA lounge in terminal 7). premium transcon LAX-EWR in business gets me lounge access right? United may have considered your past negative history with defrauding them, in deciding not to invite you. Actions have consequences. no, only pax on polaris business class have access. transcons are business, not polaris business. Have not yet visited a PL but for me, I’m hoping limited access means less crowded lounge. Seems every time I’m in UA lounge it packed, no seats, too children unsupervised, staff unable to refresh food items, etc, etc. Hoping to checkout PL soon. Is the outbound on Star Alliance business/first only an LA thing? 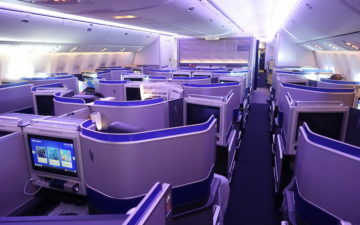 I’ve had no problem coming in on Turkish business class and accessing the Polaris lounge in Houston as I connected to my flight to Austin (e.g. inbound). Thank you. where are the outlets ;((( !!!!! I figured Apple spent plenty on tickets from SFO to China but was shocked to see they spend $150mm on United tickets and buys 50 J seats daily between SFO and PVG. 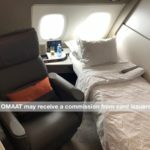 @moyang_mm actually United launched a Polaris business flight LAX-EWR, which im pretty sure grants access to this lounge. Right Ben? Food and drinks are great! Make sure you enjoy a meal in the sit down dining area. Relaxation rooms, not so relaxing. The relaxation lounge feels like an Economy Plus seat with a leg rest and there is a constant slamming of doors from behind the wall. Not sure if it is the shower rooms or employees coming in and out of the back room. Incredibly annoying and no “relaxation” to be achieved. On to the shower room. I’m sure that will be fine.